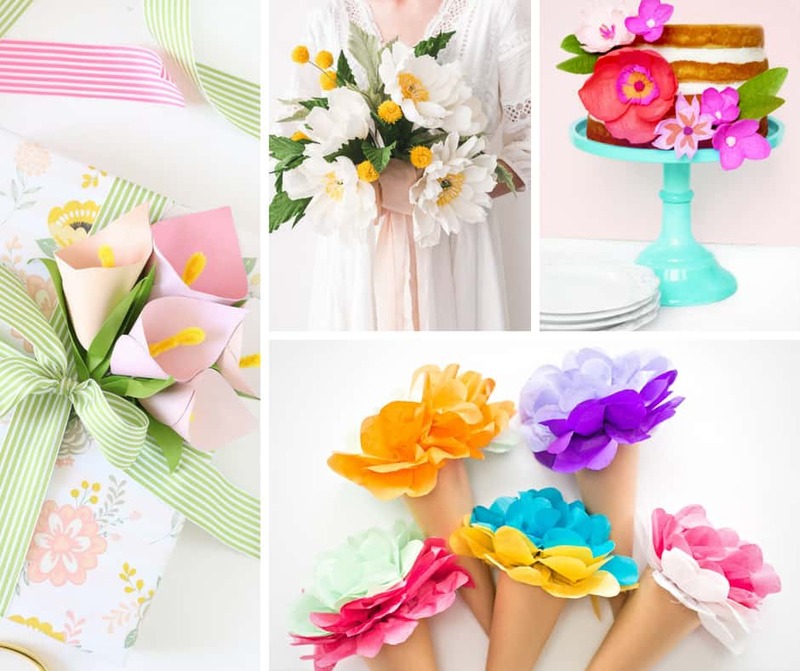 Learn how to make paper flowers 20 different ways! 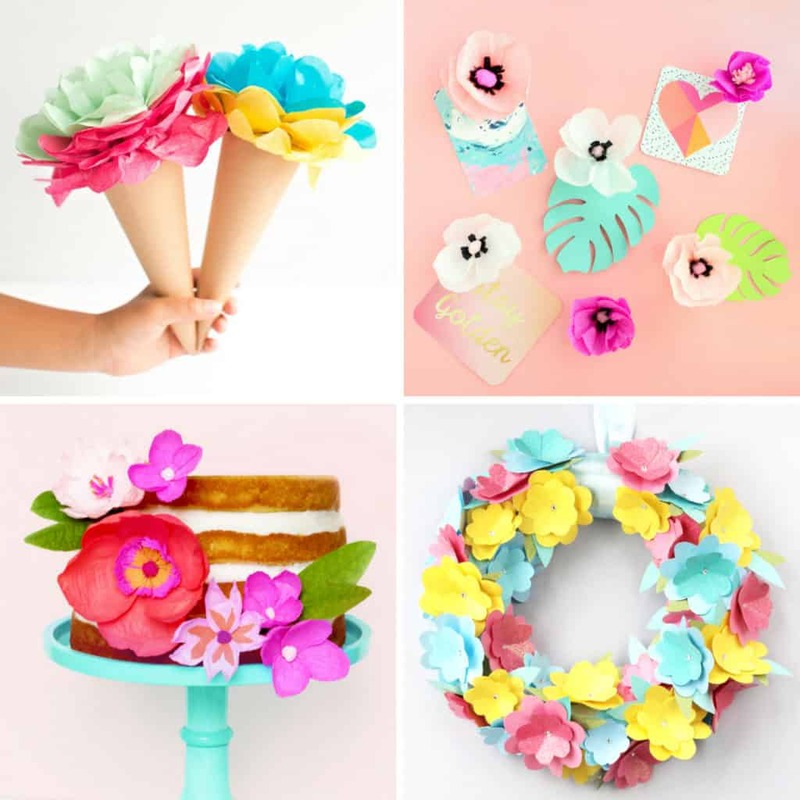 Dress up your mantle, your walls, your child’s room – even decorate for a party with these amazing paper flower tutorials. I could spend hours online watching videos of people making paper flowers! I didn’t really catch the bug until my friend Arena shared a picture of paper flowers she was making for a church centerpiece in our private crafting Facebook group. <— You can join the group here. 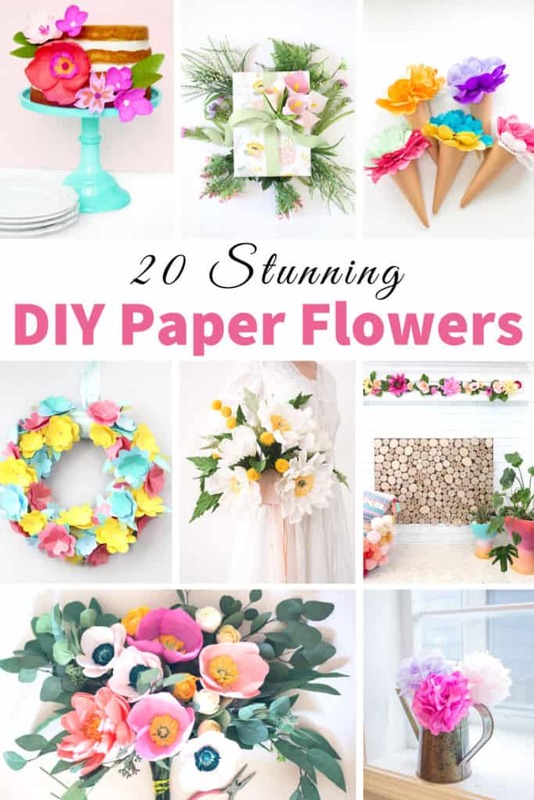 I really had no idea that DIY paper flowers could look like that. What I remembered were elementary school crafts that roughly resembled paper flowers if you looked at them just right. And these were just beautiful. And FAR more durable than real flowers for a centerpiece. And I am sure they were less expensive too. 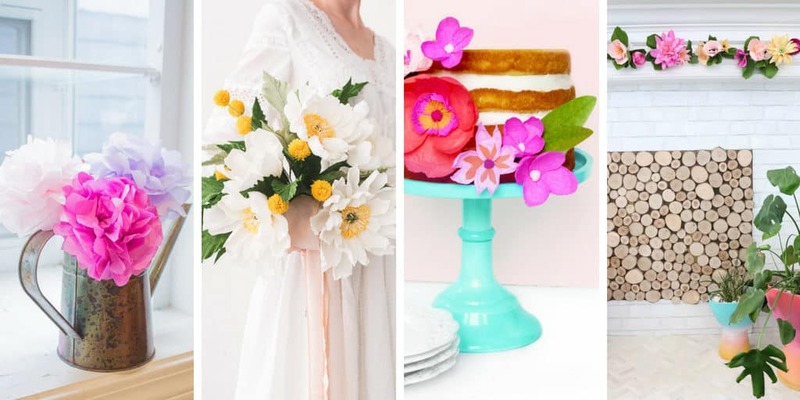 Since then, I have been on the search for all the paper flower tutorials I can find. Some are really easy… some are really intricate. So far, I am on the easy version but I have aspirations! Two of my three daughters have the paper flower bug too. We have picked some of the simpler flower designs to make together. And now they are displayed on their bedroom door. The 7-year-old is remarkably good at it. The 5-year-old only lasts for a little while before she is ready to wander away. But she is always happy to show back up to see the end result of the flower she started, abandoned, but still claims as her own. Looking for more Home DIY projects? How about handmade soap? !